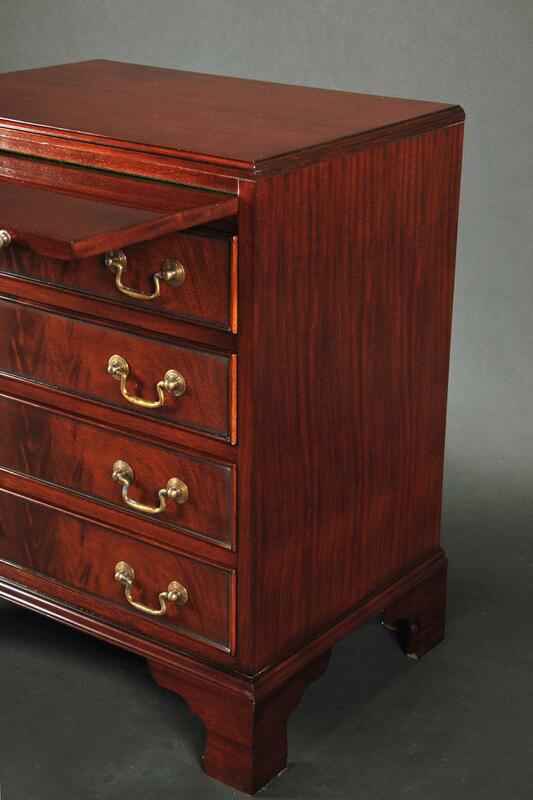 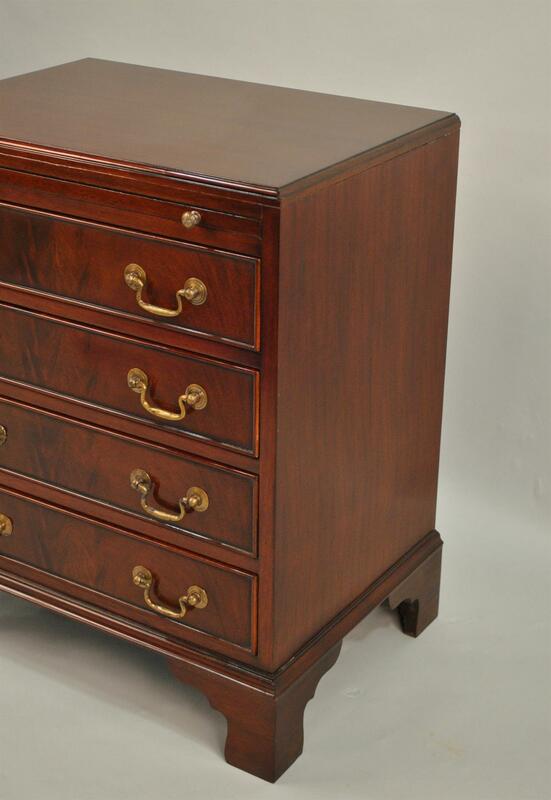 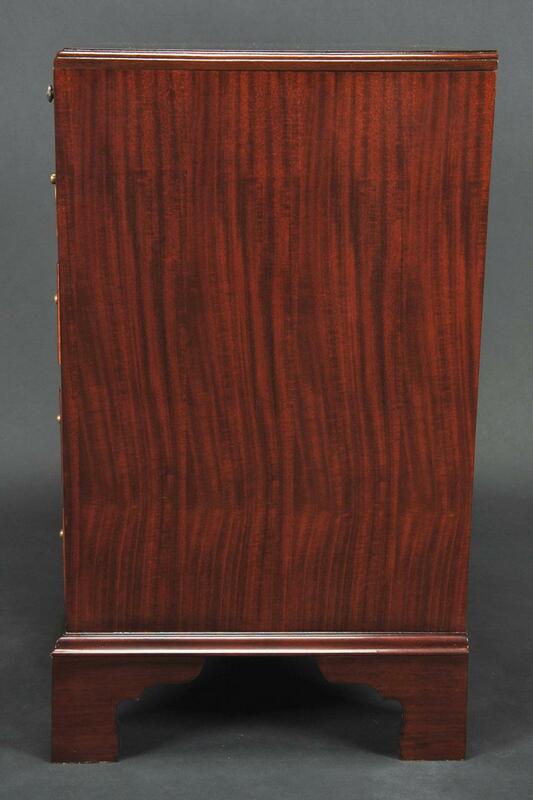 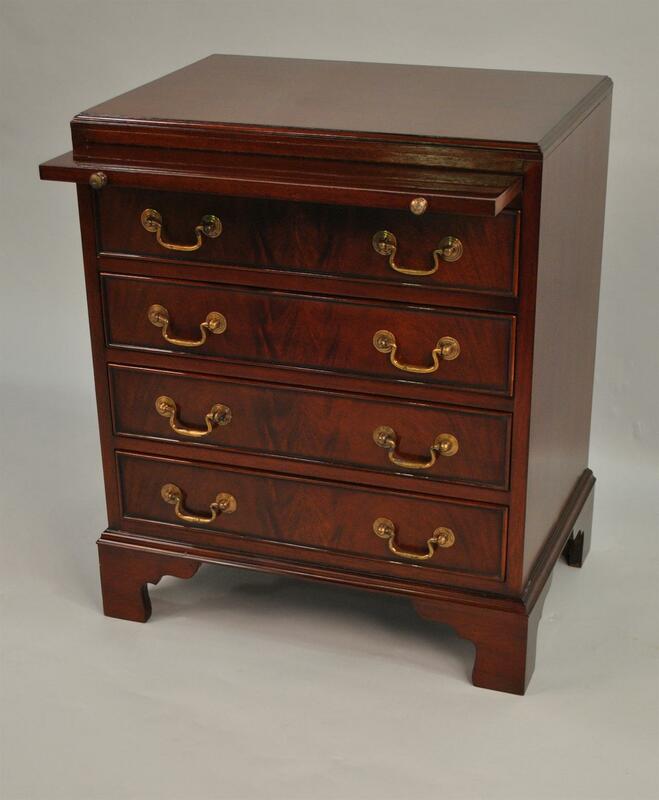 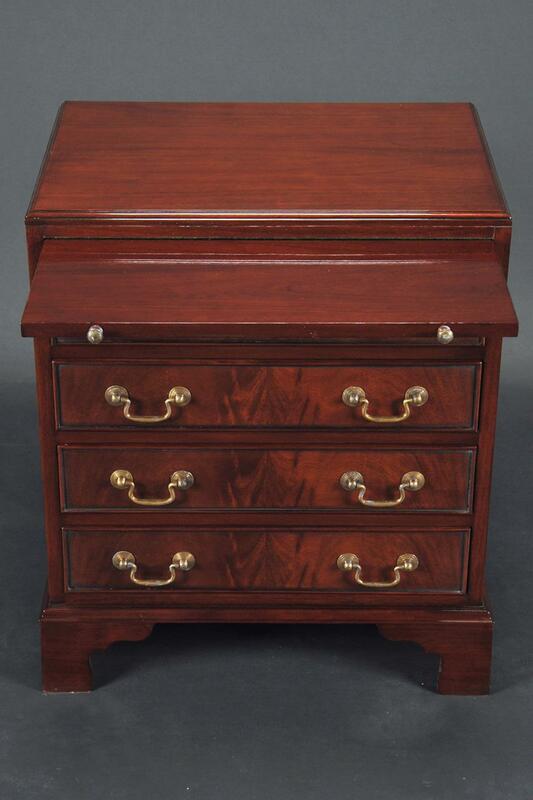 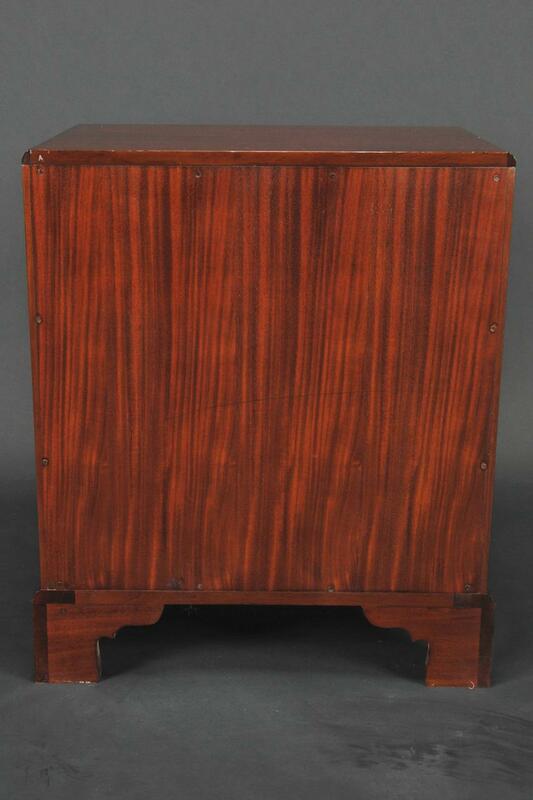 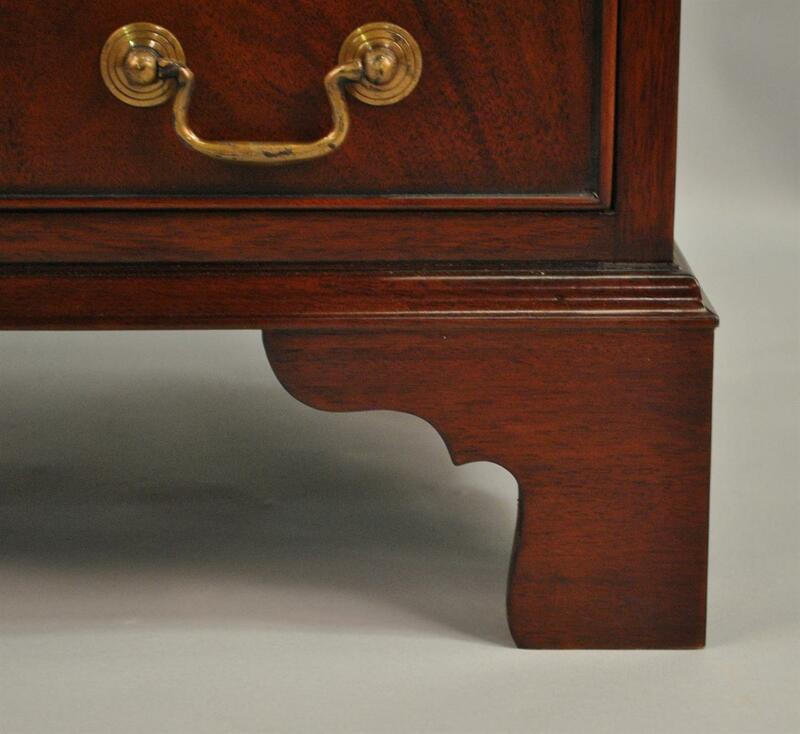 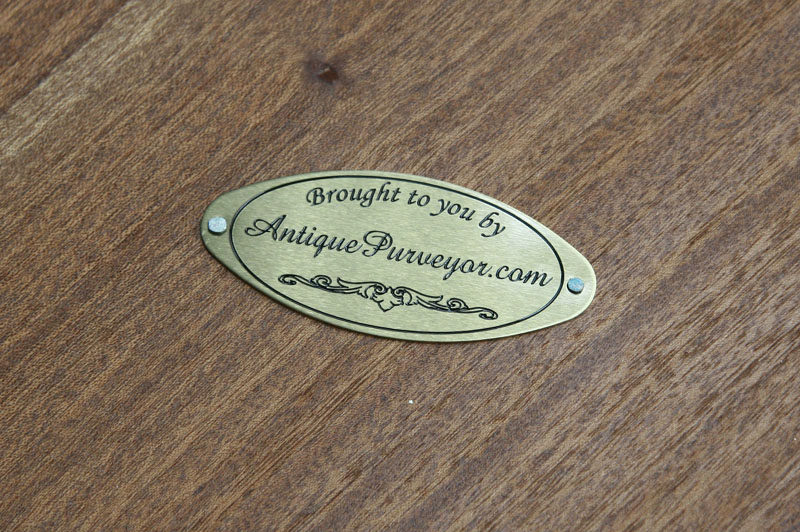 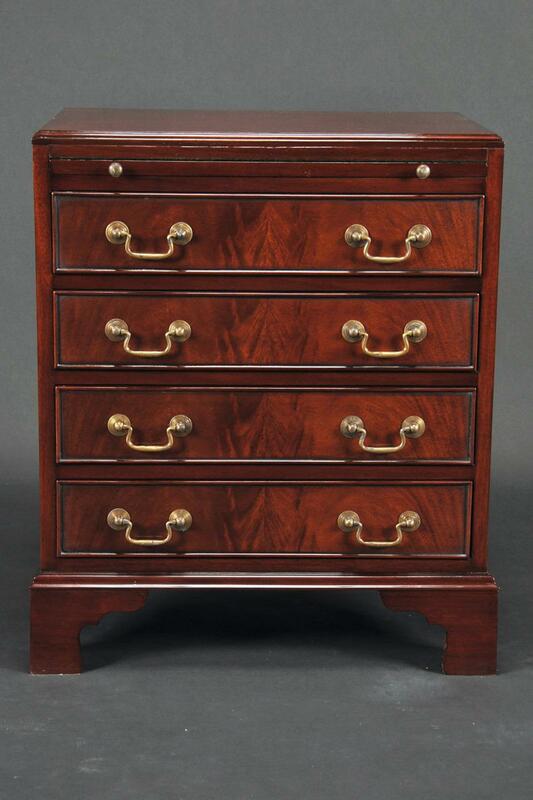 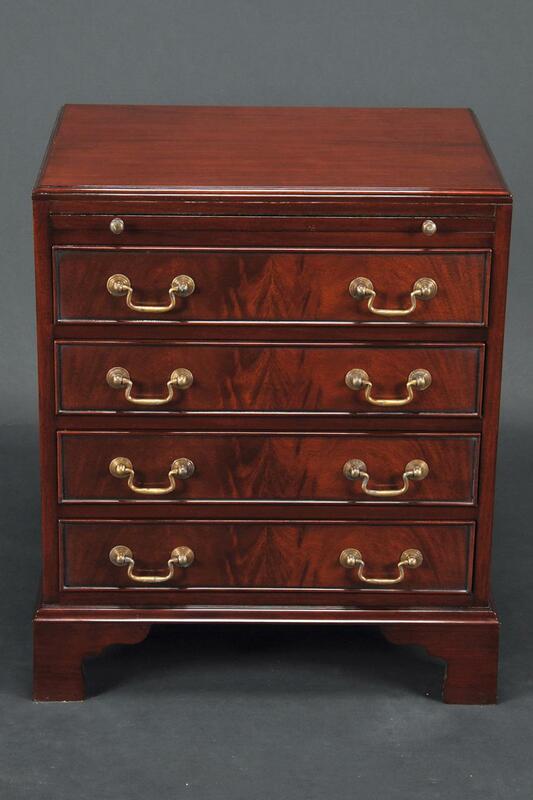 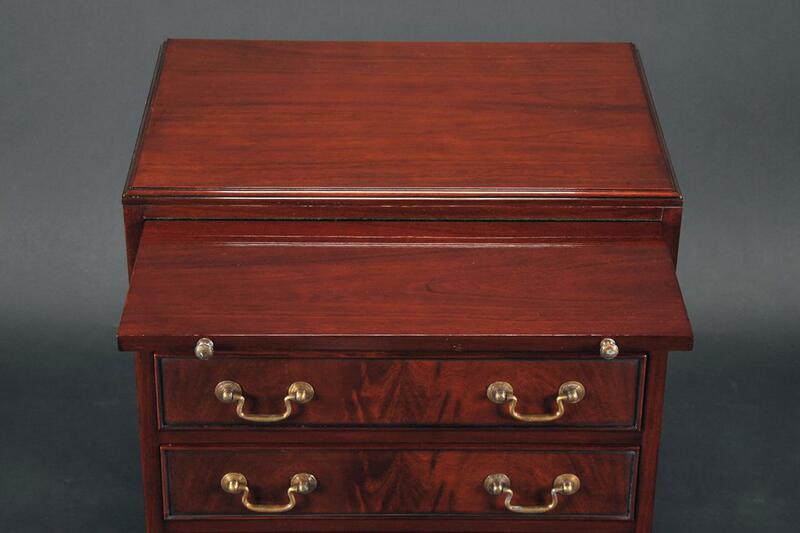 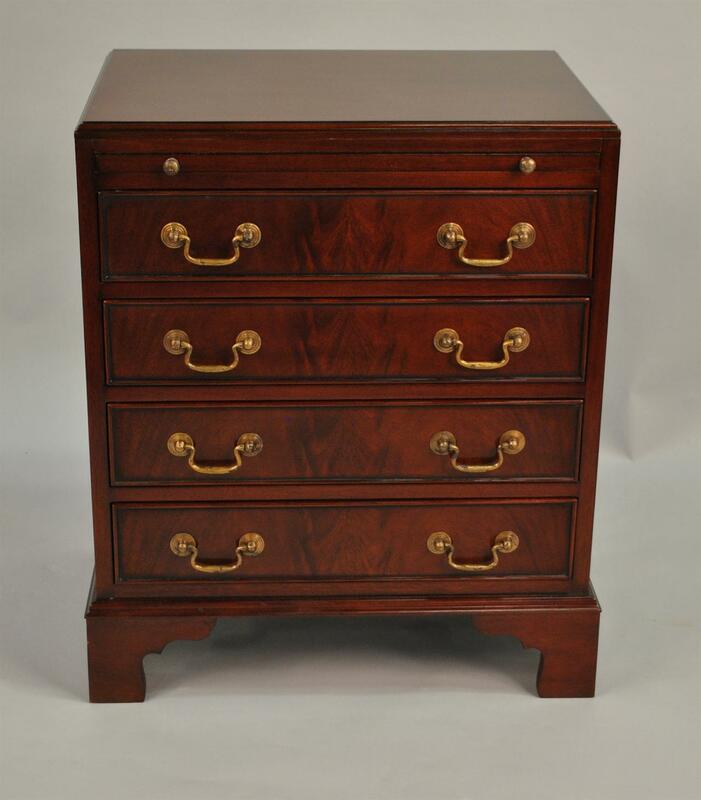 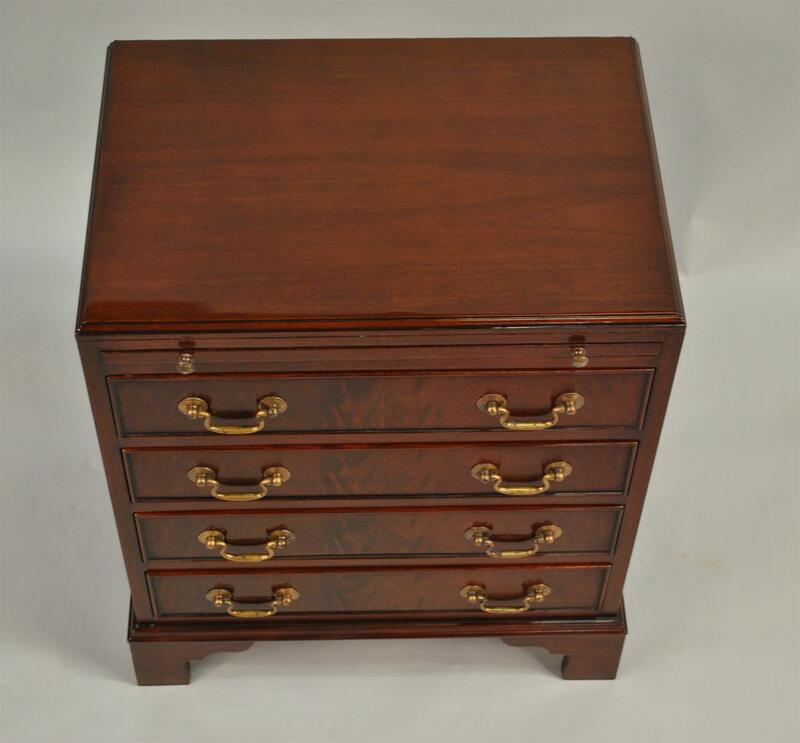 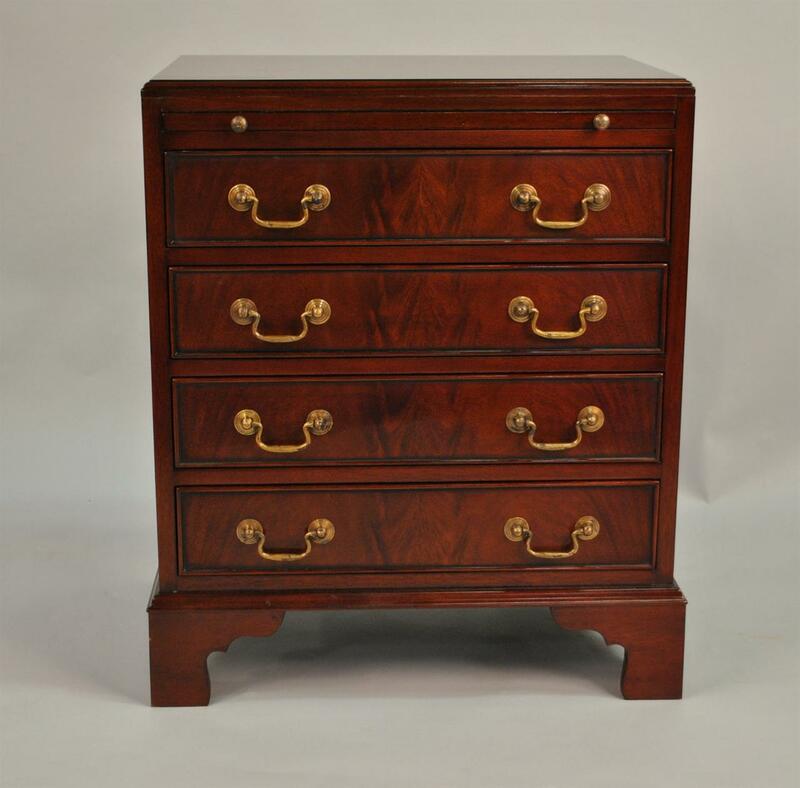 Description: An English style small chest of drawers which makes either a great accent table or night stand. 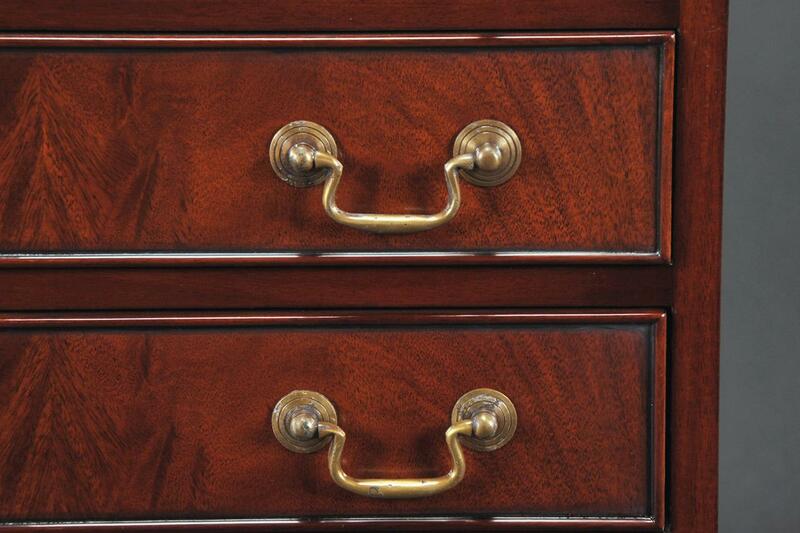 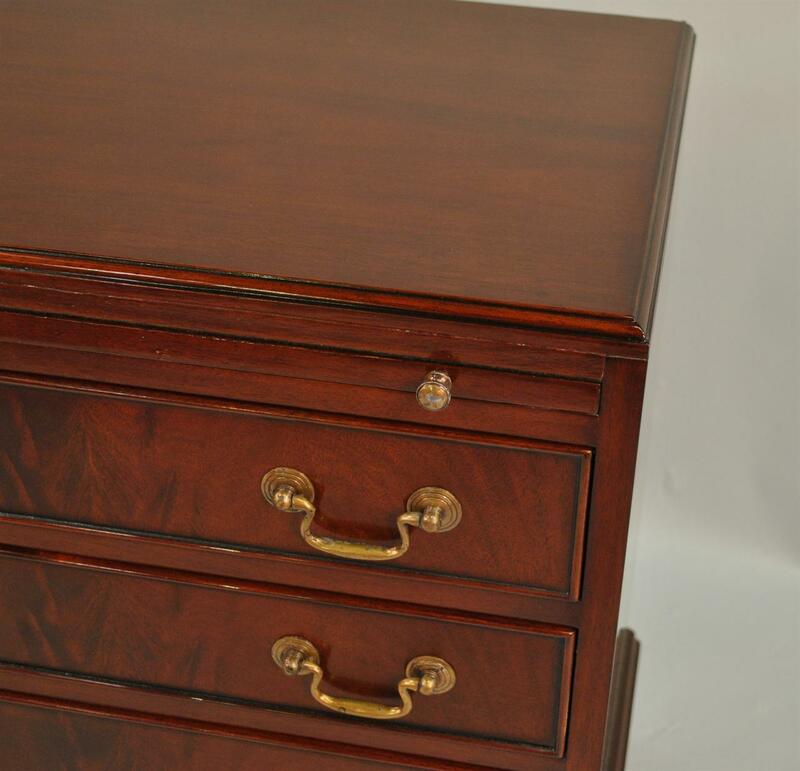 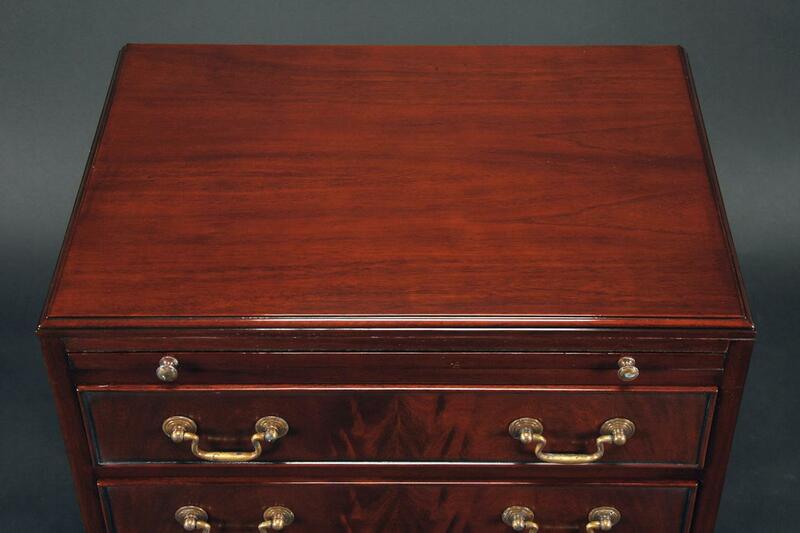 Solid mahogany construction with dovetailed drawers and solid brass hardware built to last a life time. 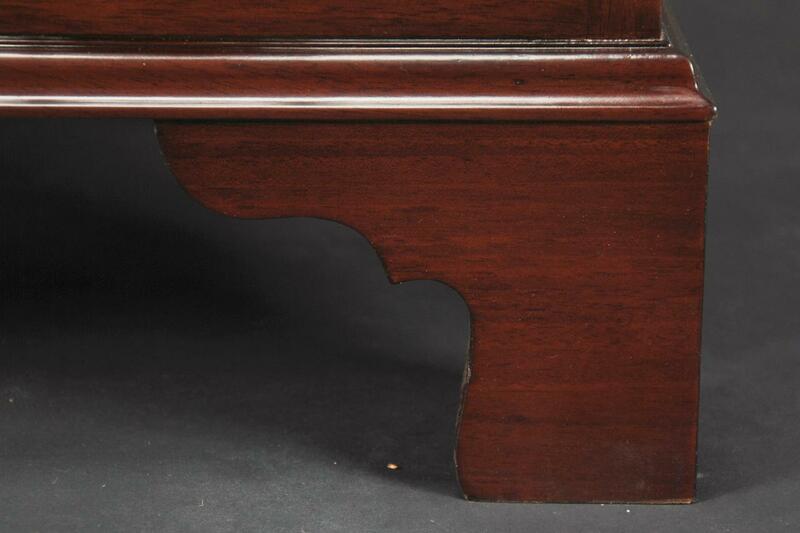 Pull out tray allows for extra surface space when needed. 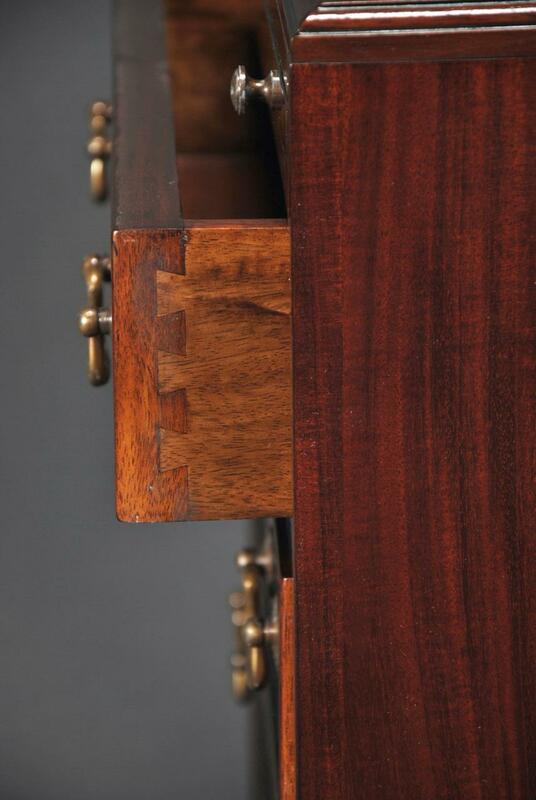 Simple, elegant and practical.